What is a Beveled Mirror? What is a Beveled Mirror? Browse: Home » What is a Beveled Mirror? What is a Beveled Mirror? Mirrors come in all sorts of shapes, sizes, and designs. You can buy one with an elegant frame or a frameless mirror. If you go online or visit a showroom, you will notice that some mirrors look like they have frames but actually they don’t. The sides are sloping surfaces or edges that do not form a right angle with adjacent surfaces. These types are called beveled mirrors. 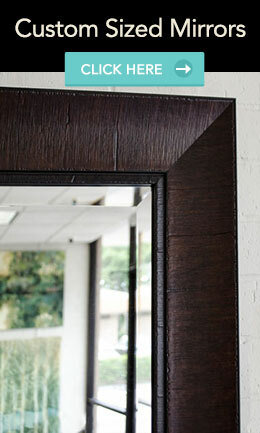 A beveled mirror refers to a mirror that has a framed look since its edges are cut to a specific angle and size. In this process, the glass around the edges becomes thinner, while the remaining part of the glass is thicker. The sizes of the beveled edge in mirrors vary. These can range from ¼ inch to 1 ¾ inches. Beveled edges are a common feature of mirrors and window panes, giving a more polished and stylish look. Since the beveled edges give a frame-like illusion, your mirror will look lighter without a heavy frame weighing it down. 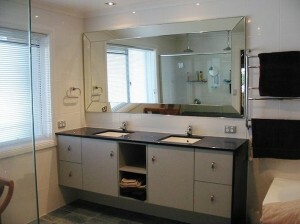 You may also buy a customized beveled mirror to suit your design requirements. Customizing beveled mirrors is the way to go if you want to keep your interior design cohesive and all elements are in line with one theme. Beveled mirrors can be mounted in two ways: with the use of adhesives and mirror clips. Take note, though, that hanging a beveled mirror using adhesives is a permanent installation, so be very sure about where you are going to place the mirror. Hanging it using mirror clips enables you to move it easily from one part of the wall to another easily. A bit of a downside is the clips may leave hole marks which can affect your design. Beveled mirrors will work well in different rooms and spaces. These are normally used as the centerpiece or focal point of a room, but you can hang one in the dining room, living room or entry way. It is a great addition to your bedroom when placed above the headboard. 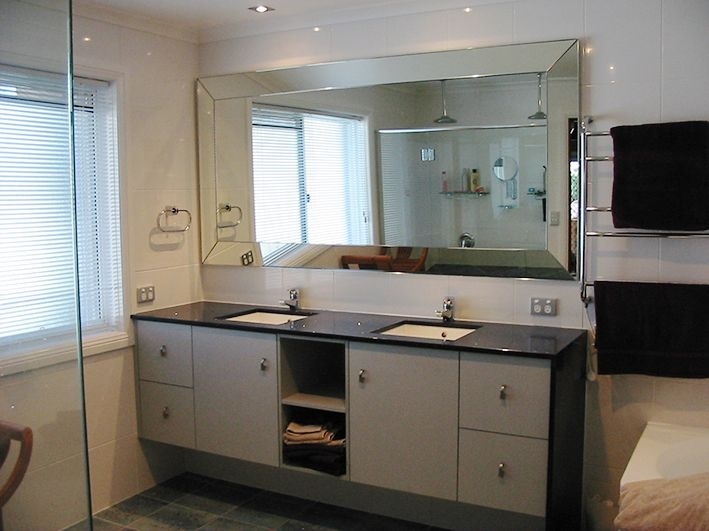 Beveled mirrors are likewise great in a bathroom, giving the illusion of more space. You can buy one or get multiple smaller ones mounted side by side or as a group on the wall. This mirror grouping makes an elegant statement and brightens up the space without buying a large mirror. Another good thing about it is these are very easy to rearrange if you want a different look – serves as a work of art. 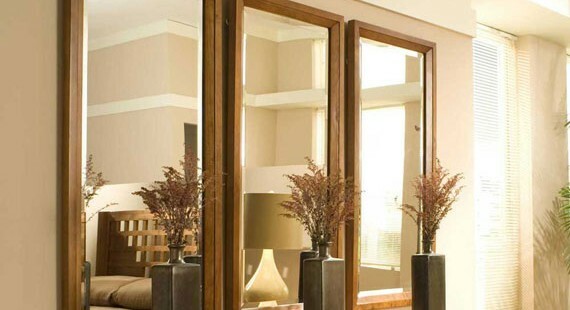 You can buy different types of beveled mirrors in showrooms and online stores such as at MirrorLot. As with any other type of mirror bought for interior design, make sure to always keep your current room design or theme in mind when buying a beveled mirror. This is to ensure that it will go well with the other elements in the room. Also, get the right measurements and give a couple of inches of wall allowance so you will have more space to work on when it’s time to hang the mirror. Lastly, check several options, whether online or in showrooms. This will give you insights on what kind of beveled mirror will suit your room.